Final game of the pre-season goes tonight as the Leafs host the Red Wings. The Leafs pulled out an overtime win last night, but they will be without Clarke MacArthur because of a suspension. 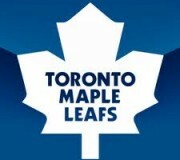 Go Leafs Go. The Leafs and Red Wings play in a back-to-back to finish off the pre-season. Tonight in Detroit, tomorrow night at the ACC. Get excited people. The Leafs go for their second win against Ottawa tonight and third overall. They can’t lose to the Sens, can they? The second game of the back-to-back set with the Sabres goes tonight in Buffalo. 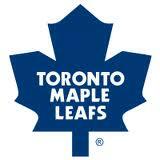 Last night’s game was entertaining to watch even though the Leafs lost a tight one 2-1. Just like they did vs the Flyers, the Leafs will seek revenge on the road. 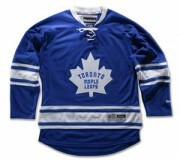 The Leafs take on the suddenly wealthy Buffalo Sabres tonight. The Leafs could barely handle the Sabres when they were poor, let’s see how they do with all the new additions. 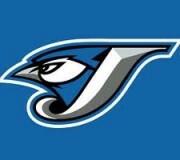 Blue Jays new logo leaked? The Leafs are in Philly tonight. They better have payback on their minds for last night’s beatdown. The Leafs take on the Flyers tonight. Here’s one thing to look out for: Luke Schenn and Phil Kessel will be playing against their respective brothers.